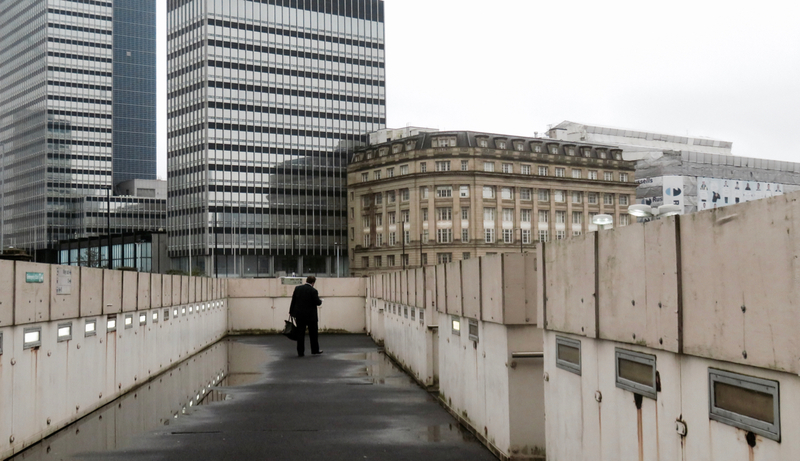 Whatever has happened down the years to the configuration of Manchester Victoria station, this footbridge is definitely less used than it must once have been. The only time it’s really worth using it is if you’re sat at the back of the 8:05 from Hebden Bridge, which stops on platform 6 and the principal footbridge gets clogged up with the contents of the full train, this one is slightly nearer. But hey, it’s got an interesting view.